It can be difficult to get an honest up-to-date idea about what is happening in any country when it comes to the snow conditions – unless you have a good friend who has just returned from the same resort. And, even then, their information can be wildly out-of-date. Tourist offices and lift operators want to show their resorts in the best light – and don’t forget that they are in competition with other resorts in their region – so their own reports can sometimes err on the, umm, optimistic side. Tour operators, travel agents and accommodation suppliers all have their own agendas as well. On the other hand, newspapers want to sell copies, and reports which say “skiing OK in Austria” sell less than “tourists have to ski on grass” or “blizzards bury Brits”. Take recent winters past, for example. Most visitors to Austria have been pleasantly surprised by the quality of skiing they have encountered, despite the fact that there have been no major snowfalls for long periods over the winter. Much depends on whether a resort has been high enough for the temperatures to drop below freezing at night, which allows it to make snow, or whether it has adequate snow-making equipment and finances. It is not just a simple case of saying “go high”. Higher resorts often need more snow to cover the rocks which make up their base, rather than the pastures in the lower villages – and they are also often lacking in shade from the sun and the wind, which can lead to icy wind-blown runs. Far more important is the ability to make snow and the potential of the slopes to keep it once it is made, which in turn depends on the altitude (does the temperature drop below freezing?) and the exposure (are the runs exposed to the sun?). These days, and recent years have been prime examples of this, a decent dump of early season snow added to subsequent low temperatures mean that resorts can provide excellent skiing conditions despite not having had a decent fall of snow for three weeks. It can be difficult to find a decent record of what is happening in your favourite Austrian ski resort. How many lifts are open? How deep is the snow? When was the last time it really snowed. During the winter season we have regular snow depth updates on the skiing pages of each resort. 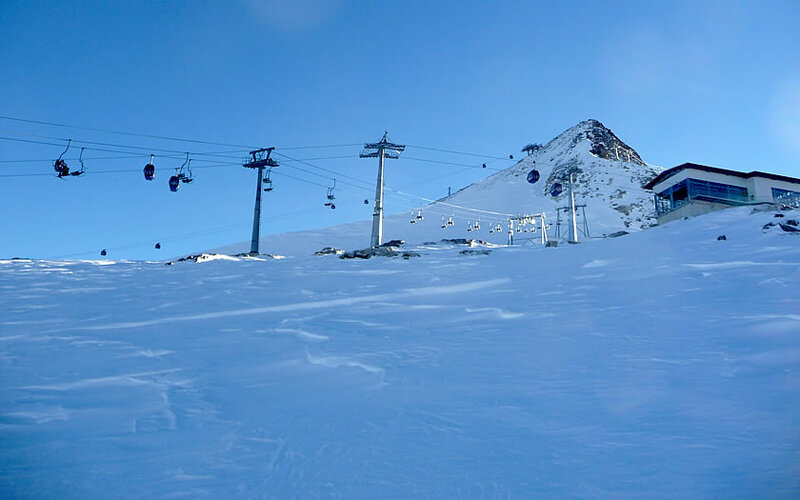 We try to keep up with the snow reports – and add our own local sceptical eye – here at Ski-Austria, but if you want to go to the source information it is possibly going to be in German. So, if you aren’t fluent in the language, here’s a quick guide on interpreting your own Austrian snow report. The best way to do this is to use your favourite internet search engine and put in the following query “your resort name” “schneebericht” (where your resort name is the actual name and the quotation marks are omitted). You should then be able to find a German version of an up-to-date ski report. So what does it all mean? Dear Sir / Madam, My friends and I just returned from a week at Soll, Austria. It was my first experience at skiing and I loved it. We’re considering returning in November. Will NOvember be a good time for skiing please? Hi Maria, November would normally be too early for a resort like Söll. You might want to take a look at our articles about Early Season Skiing or Summer Skiing.